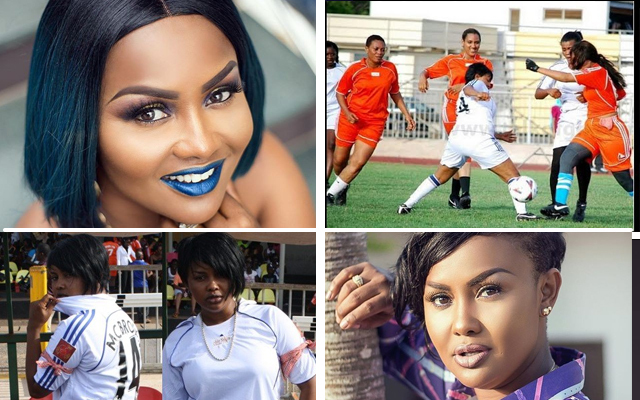 Not everyone is aware Ghanaian actress and a music writer, Felicity Ama Agyemang otherwise known as Nana Ama McBrown was a professional footballer and along the line switched into acting, a career she professed is raking her enough cash. “I played for Kotoko Ladies for 5 years but the money was not coming as expected so I had to switch into acting when the opportunity offered itself. Most people do not know I was a footballer. Some of my coaches are still around and can attest to it”, she disclosed. Nana Ama McBrown who is the face on several billboard advertisements in the country, said she was determined to succeed in other fields considering her inability make significant progress in formal education. To this end, she appealed to students pursuing various programmes at the Kwame Nkrumah University of Science and Technology (KNUST) to pursue their dreams irrespective of the challenges that come with such bids.